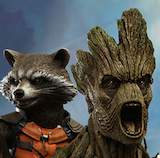 San Diego Comic Con 2016 is now less than a month away and the news and exclusives continue to roll in. 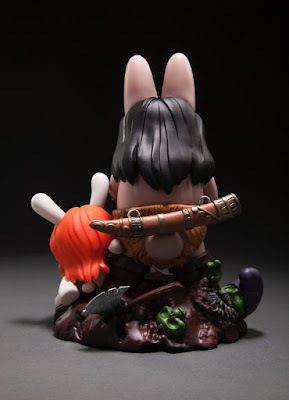 Kidrobot has just announced an awesome pre-release for SDCC with the Frazetta x Kozik Labbit the Barbarian Vinyl Figure. 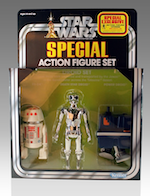 Frank Frazetta and Frank Kozik come together for an adventurous mash-up! 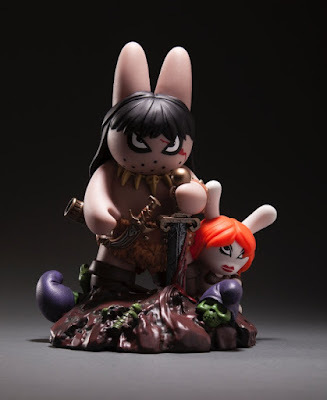 Labbit the Barbarian depicts Frazetta's famous Conan the Barbarian comes packaged in a collectible window box that features Frazett'a original painting. Standing approximately 10" tall, Labbit the Barbarian is perfect for both Labbit and Frazetta fans! 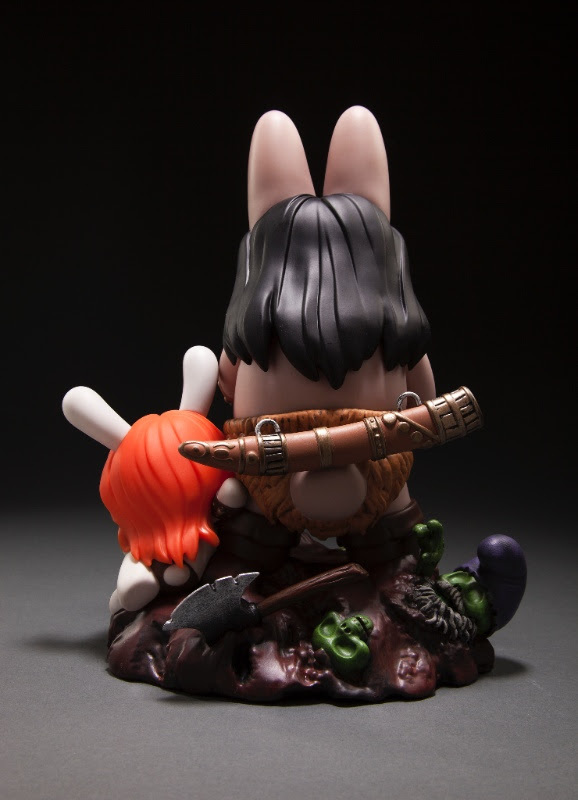 Labbit the Barbarian will be pre-releasing at Kidrobot's San Diego Comic Con Booth! Retailing at $100, Labbit the Barbarian is now available for pre-order for SDCC pick-up exclusively at SDCC.Kidrobot.com!